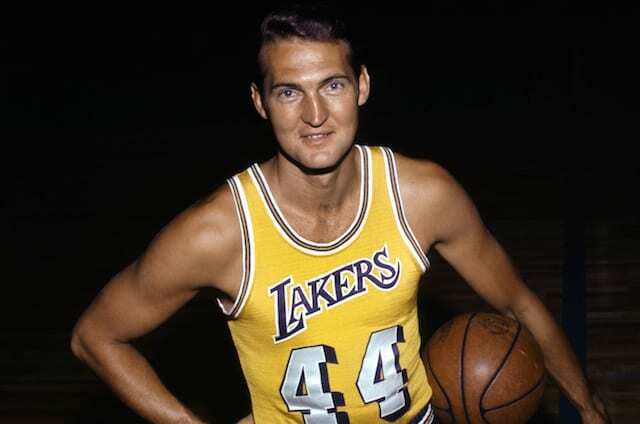 Throughout the 1960s, the Los Angeles Lakers were one of the elite powerhouses in the NBA, represented by none other than NBA legend Jerry West. ‘The Logo’ headlined the talent at the point guard position, continually running circles around his opponents. While a lethal passer in the open court, West was also an intimidating scorer, accounting for a major portion of points with each game. The 1969-70 season proved to be the case, as the Lakers wreaked havoc. Los Angeles was a major draw across the NBA, with stars in West, Elgin Baylor, and Wilt Chamberlain forming a trio that captivated many crowds. As the season progressed on, West’s role was amplified, especially on the scoring front. Entering the final month of the season, the Lakers were on the cusp of playoff contention, attempting to gain momentum towards a run at the Finals. At the same time, West was on the brink of making history in his 10th season. West ranked amongst the top in the NBA in terms of points per game, as he was close to bringing in the first scoring title of his career. With just five games left in the season, West had a subpar performance against the Philadelphia 76ers, where he only put up 10 points. However, he would average 37.8 points over the final four games of the season, lifting his average and officially securing his lone scoring title during his Hall-of-Fame career. West finished the season with an average of 31.2 points over the span of 74 games, concluding the 1969-70 campaign with a total of 2,309 points. Although West accomplished a lot during his career, most of his individual accolades came during the end of the 60s and beginning of the 70s. The 12-time All-NBA selection lifted the play of teammates entering the playoffs, as they prepared for a first-round battle with the Phoenix Suns. After going down 3-1, the Lakers rebounded with three consecutive victories to move onto the second round. From there, Los Angeles swept the Atlanta Hawks en route to the NBA Finals, with a clash against the New York Knicks. Alas, it wasn’t meant to be, as a back-and-forth series resulted in a Game 7 win for the Knicks, leaving West with yet another NBA Finals loss. After capturing his first championship the previous season, West was left with the bitter taste of defeat. However, he managed to finish the 1969-70 season with averages of 31.2 points, 4.6 rebounds, and 7.5 assists, while shooting 50 percent from the field and 82.4 percent from the free-throw line.